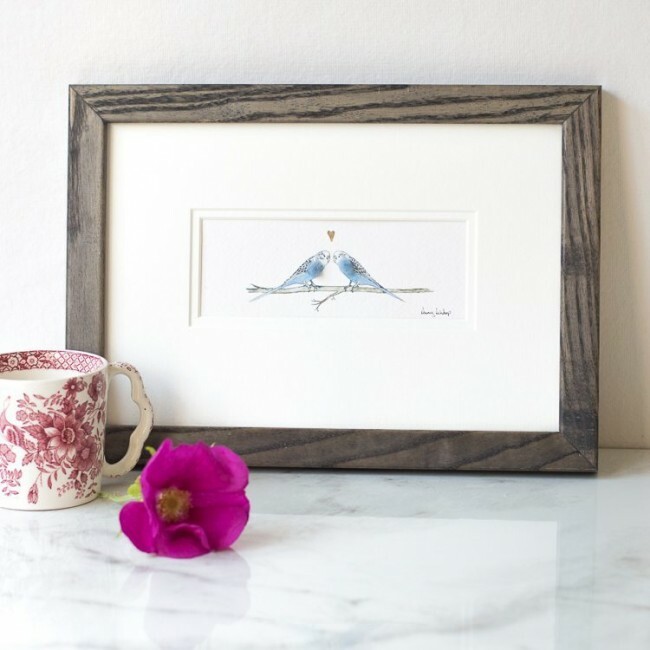 Our Budgies in Love print is a gorgeous gift for budgie owners. The budgies are hand finished with real wool, adding a gentle touch of humour and an added dimension to the artwork. We hand draw a gold heart above the birds. Very much loved by their owners, budgerigars are popular little birds. A perfect gift for budgerigar owners. This picture is a popular wedding gift for a bride and groom with a passion for budgies. Why not have the picture personalised with the bride and groom's names and the date of the wedding? We hand write, in pencil, on the print, beneath the birds. It's sure to a a popular gift! 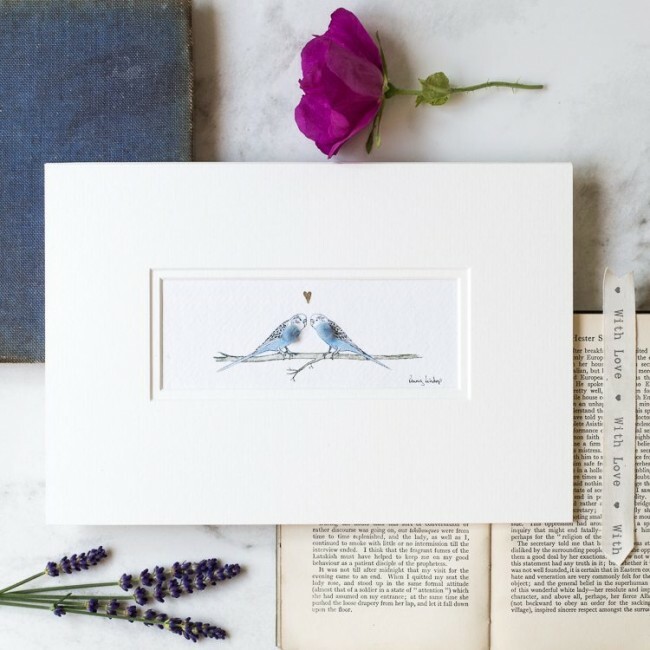 Or celebrate an anniversary with the gift of these budgies in love print. Being finished with real wool, this would be a superb 7th wedding anniversary gift - but of course could be for any anniversary if budgies are your passion. Printed on a acid free archival quality paper made in the UK, and mounted in a conservation quality double mount. 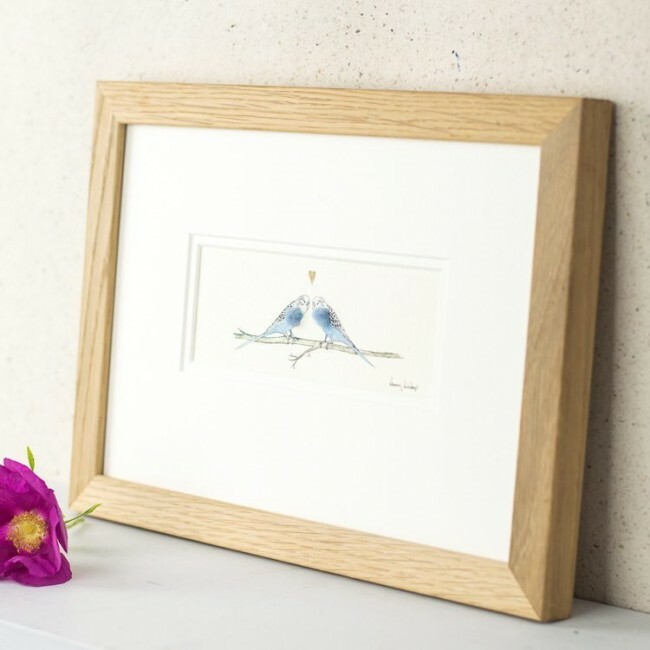 A double mount really adds an extra touch of quality to the finished artwork. Mounted print size; standard A4 297 x 210mm. 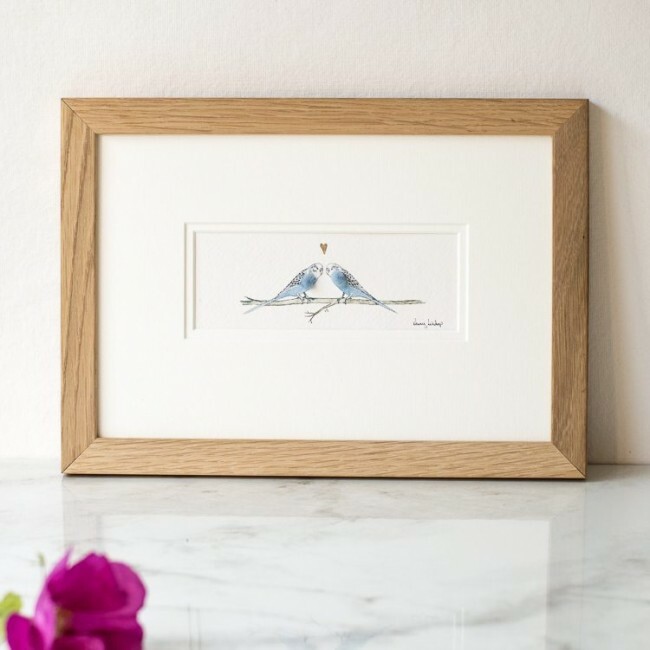 This is an easy frame to purchase in the shops, but if you would like us to finish your gift for you, we would be more than happy to frame it for you. Tags: Budgie owners, valentines, anniversary, wedding gifts.